When a community organizing campaign wins monetary resources, what do they do with it? How can they allocate those resources back to the communities most impacted in an accountable and democratic way? 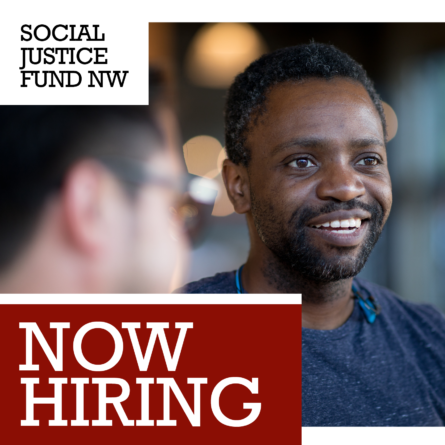 For nearly 40 years, Social Justice Fund NW (SJF) has organized donor activists to give strategically and fund community organizations in Idaho, Montana, Oregon, Washington and Wyoming. We fund organizations making transformative and lasting systemic change, who are led by the communities most impacted by the issues they work on. Over the years, Social Justice Fund’s grantmaking approach evolved into a model called Giving Projects – six month participatory cross-class multi-racial programs that combine political education, meaningful personal giving, grassroots fundraising, and democratic grantmaking. Displaced Tenants Fund for Housing and Affordability project wrap party. In 2016, SJF had the the opportunity to try something new – helping grantees create community based grantmaking processes to redistribute funds that they won through their organizing efforts. Ending the Prison Industrial Complex (EPIC) is a network of people of color led organizations leading a multi-year campaign to stop the construction of a new King County youth jail. After organizing the Seattle City Council to unanimously pass a resolution proclaiming a goal of zero youth detention in the city, EPIC reclaimed $500,000 from the City’s budget to invest in community based alternatives to youth incarceration. EPIC Zero Detention Project participants. The Displaced Tenants for Accountability and Transparency (DTAT), is a group of low-income tenants who came together through the Tenants Union of Washington to fight eviction and displacement by the private developer that took over their apartment buildings. During the campaign to save their homes, they sued the same developer who evicted them and won a settlement that included $500,000 to invest in affordable housing activities. Both groups were in need of a trusted partner organization that could help them administer the money and grant the resources they won while centering social justice values and leadership of the people most impacted by housing justice and youth incarceration. So they each approached SJF with the idea of partnerships. SJF’s role was as a technical assistance consultant, a project facilitator, and a grants administrator. SJF worked with each group to create a tailored grantmaking process that reflected the group’s vision and values and aligned with SJF’s mission. The grantmaking processes closely resembled SJF’s Giving Project model, following a similar arc of political education, building skills in grantmaking and grassroots fundraising, and a collective process of democratic grantmaking over the course of several months. The projects – EPIC Zero Detention Project and the Displaced Tenants Fund for Housing and Affordability – each brought together cohorts of local community members directly impacted by the housing affordability crisis, youth incarceration and juvenile detention. The leadership of these cohorts was one of the most successful aspects of each project. In total, the projects redistributed $953K to 25 organizations working toward systemic change in approaches to houselessness, gentrification, disrupting the school-to-prison pipeline, addressing racial disparities in the criminalization of youth, and more. 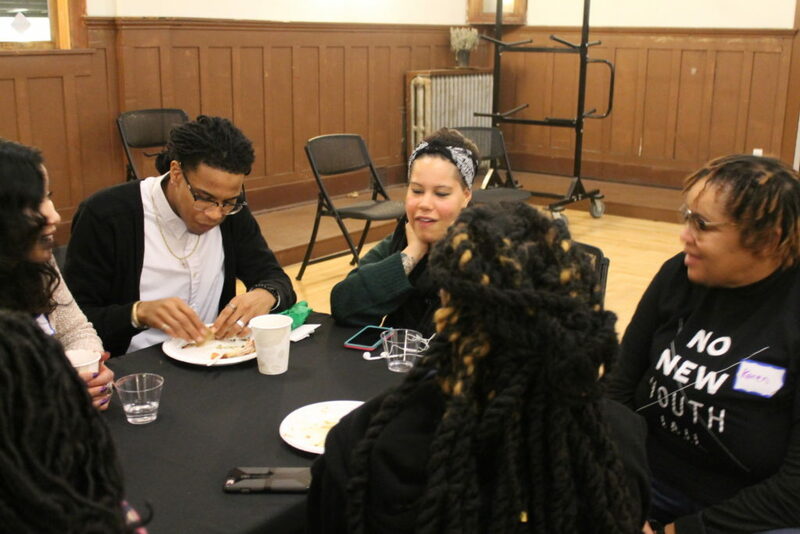 These projects are more than the sum of the funds granted; they create new opportunities for reclaiming and redistributing resources from institutions that have a history of harming and exploiting low income communities and communities of color. The work of both projects will have a lasting impact – on the participants, many of whom have never been in the position to control hundreds of thousands of dollars and direct it back into their communities – and on the grassroots organizations that will be able to transform lives through the investment of these resources into community led strategies for systemic change. Read more about each project from participants and check out their grantees in the links below. Countless hours of work from organizers and community members across Seattle helped make these projects and their grants possible. We are thankful for everyone who worked to support these projects, particularly the project members that spent over six months learning and building together. 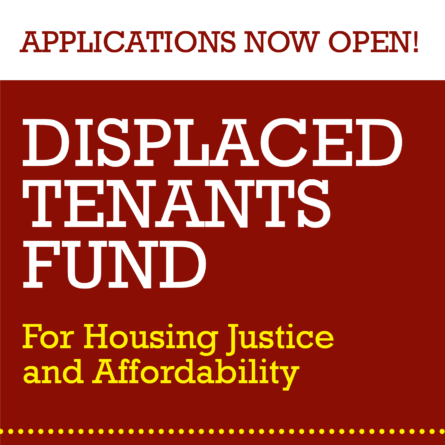 Click the links to learn more about EPIC Zero Detention Project and the Displaced Tenants Fund for Housing and Affordability and read about their grantees! SJF’s model of cross-class, multiracial donor organizing and our experience supporting the work of groups led by people most disproportionately affected prepared SJF well in many ways for this new role as a technical assistance partner, but we still have lots to learn. SJF is excited to continue developing this model to be able to provide this type of partnership to more grantees in the future. For now, we plan to take the next six months to evaluate and refine organizational best practices. 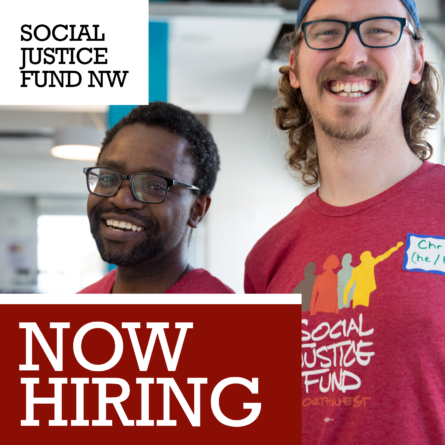 We hope the possibility of having a partner like SJF opens up more opportunities for community organizing campaigns to demand the monetary resources that marginalized communities need. Stay tuned for more updates later this year!